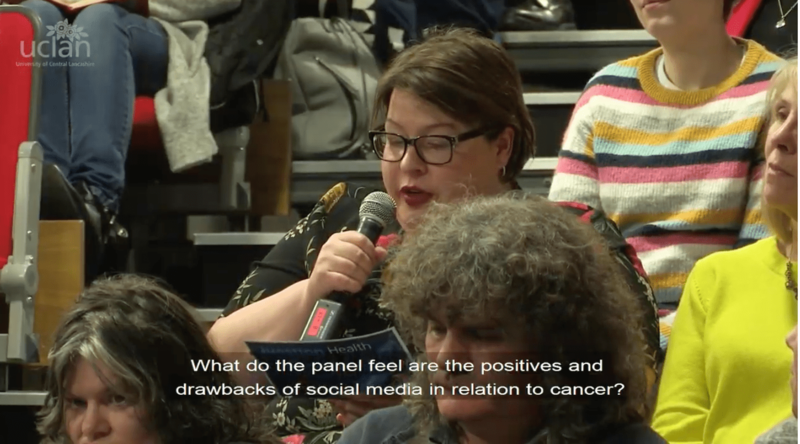 Question Health: The Big C took place at UCLan, Victoria Mill, Burnley on 6 February 2019. The full debate was broadcast on Showcase, SKY Channel 192 (Free Sat Channel 161) on Wednesday 10 April 2019, 7.00pm-8.00pm. Professor Kinta Beaver. Kinta is Professor of Cancer Care at the University of Central Lancashire. She has a clinical background in nursing but has been in a research post since 1991. Dr Anna MacPherson. Anna is a Consultant in Palliative Medicine and works in East Lancashire Hospitals NHS Trust and is based at Pendleside Hospice in Burnley. Dr Karen Oliver. Karen is a GP Partner at Lancaster Medical Practice has also been a Macmillan GP for five years at Morecambe Bay Clinical Commissioning Group. Jane McNicholas. Jane has multiple job roles including Consultant Oncoplastic Breast Surgeon as well as Medical Director for the Lancashire and South Cumbria Cancer Alliance.